We already struggle with global warming and air pollution harming our environment and the animals that live in it. But, what is making matters even worse is that air pollution is also increasing our patients’ risk of sleep apnea. So, what do we do with this? Hold your breath? No, that is never a good solution. According to new research published in the Annals of the American Thoracic Society, the ill effects of air pollution may be causing some people to lose sleep. Martha E. Billings, MD, MSc, and co-authors of “The Association of Ambient Air Pollution with Sleep Apnea: The Multi-Ethnic Study of Atherosclerosis,” there is a link between obstructive sleep apnea and increases in two of the most common air pollutants: fine particulate pollution, known as PM2.5, and nitrogen dioxide (NO2), a traffic-related pollutant. Given that air pollution causes airway irritation, swelling and congestion, it appears that it was detrimental to sleep. It also might affect the parts of the brain and central nervous system that control breathing patterns and sleep. Researchers used air pollution measurements gathered from hundreds of MESA Air and Environmental Protection Agency monitoring sites in six U.S. cities, plus local environment features and sophisticated tools. In doing this, they were able to estimate air pollution exposures at each participant’s home. 60 percent for each 5 micrograms per cubic meter (μg/m3) increase in yearly PM5 exposure. 39 percent for each 10 parts per billion increase in yearly NO2. To summarize the study, air quality improvements may have an unrecognized benefit: better sleep health. Understanding the risk of sleep apnea and air pollution is important to helping your patients. Lately we have been seeing a lot of news articles about medical marijuana. We have new states popping up every month in support of the legalization of marijuana. Canada has also recently legalized the use of recreational marijuana for the entire country, something that was banned since 1923. While the United States still has not legalized marijuana, many states have taken it into their own hands to either legalize it completely or just for medical purposes. We continue to learn more about the benefits and hear various opinions, but it is important to take a closer look before deciding what side you’re on. For sleep apnea, many people believe medical marijuana is a good option and it might be possible, but I don’t think we’re ready to jump on that train just yet. Either way you look at it, this is a discussion we should be having now and in the future. Medical marijuana is potentially safe and a good idea, but it is all based on state-by-state regulations and we really need to pay attention to that. In the meantime, let’s look at both sides of the narrative. Yes, medical marijuana can be used for sleep apnea treatment. When searching the internet, I found several “yes” answers for use of marijuana for the treatment of sleep apnea. Their reasoning behind this is that medical marijuana has promise as a treatment for sleep apnea because it may help process serotonin in the brain at a critical failure point. It also often helps patients fall asleep quicker, sleep more deeply and find relief from mood disturbances. In a 2002 study, rats with sleep apnea showed that Delta-9 tetrahydrocannabinol (THC) promoted normal breathing. The study was based on observations that cannabis can limit the effect of serotonin in cells in the inferior ganglion of the vagus nerve—this nerve plays a major role in breathing sensations. This then led to further research with the use of human subjects. The first study on human subjects—conducted by David Carley, PhD, a professor of biobehavioral health sciences at the University of Illinois at Chicago—tested effects of different doses of THC on 17 sleep apnea patients. It found that patients experienced an average symptom reduction of 32 percent. The study also suggested that higher doses of THC result in better effects for patients. Unfortunately, though, with such a small number of participants, more research is needed. Most research on sleep apnea and medical marijuana out now are only in preclinical stages. No, do not use medical marijuana for treatment of sleep apnea. The important thing to note here is that, until further research and evidence is found on the use of medical marijuana for treatment of sleep apnea, we should be avoiding this subject. Be sure to discuss proven treatment options with your patients. 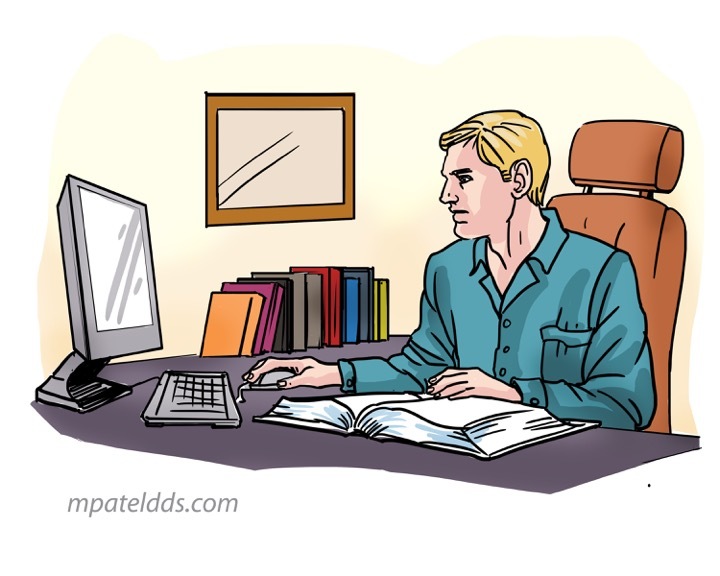 However, if your patient does bring this idea up for treatment of sleep apnea, provide proper education and inform them that there has been no proof just yet. This does not mean it will never be approved, but, for now, we need to do our due diligence to protect our patients and have their best interest in mind. States are also discussing qualifying conditions. Many states have discussed adding obstructive sleep apnea as a new qualifying condition for their medical marijuana program, such as the Minnesota Department of Health. However, the AASM’s statement in the Journal of Clinical Sleep Medicine, urged states to exclude sleep apnea from the list of chronic health issues that might be included in medical marijuana programs. Until there is significant scientific evidence of the safety and efficacy of medical marijuana, we should continue to do our research to learn more about this as a potential treatment for sleep apnea. Use your judgement and keep your patient’s best interest in mind. Let’s take a closer look at what the National Healthy Sleep Awareness Project is and how it can help you and your practice. Established in 2013 by a cooperative agreement between the Centers for Disease Control and Prevention and the American Academy of Sleep Medicine, the National Healthy Sleep Awareness Project strives to promote improved sleep health in the U.S. Through this project, public awareness of the importance of healthy sleep can be increased. It will also help to promote proper treatment and prevention of sleep disorders. The Healthy Sleep Project is a 10 year agenda to improve the nation’s health. By understanding the purpose and goals of this project, you, too, can play an active role in improving your patients’ knowledge of healthy sleep. 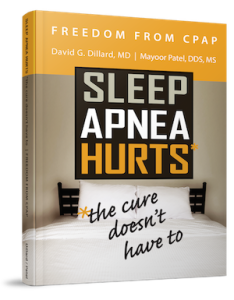 Dr. Mayoor Patel can provide you with further information on healthy sleep, and how you can play a pivotal role in your patients’ health.